If you were to give a state of agriculture speech today, what are the main points you’d make? Agriculture is a broad sector. My focus would be on the crop sector obviously – primarily in the Midwest. Clearly, we’re in a difficult situation with regard to commodity prices. It’s a challenging period – which would be the first point I would make. Second, we’re also in the midst of a demographic change. The average age of a farmer in the U.S. is around 59. There are three times as many farmers over 65 as under 35 so we’re shifting gradually to a younger demographic in farming. The other major element I’d discuss would be consolidation. Farm operations are getting larger and that trend will continue. Let’s talk about commodity prices. Is the pricing pressure different in character than pricing pressures we’ve seen in the last 40 years, or is this just a cyclical kind of thing? Well, it’s mainly cyclical. The interesting thing is there’ve been several years with almost optimal production on a worldwide basis in the various key commodities. There hasn’t been a major weather event that has really affected the overall situation. We’re coming off quite a few years of substantial production, which drives up inventories and then drives down prices. Talk about the demographic change you mentioned. Peter Drucker said, “demographics is destiny.” What is the impact of these demographic changes that are coming? Particularly in relation to digital agriculture, these are the farmers who are going to be the adopters of this type of new agriculture. Some of the technology is very usable, like auto-steer and GPS-type technologies. These have been heavily adopted by the whole farming community. In fact, these technologies enable older farmers to continue their activities because it doesn’t have quite the same level of physical demands as in the past. Data-driven agriculture is a focus of yours. Which technologies are the most promising in the near future? The technologies that have been most widely adopted – and it’s certainly by far the majority of row crop farmers – are auto-steer and yield monitors. 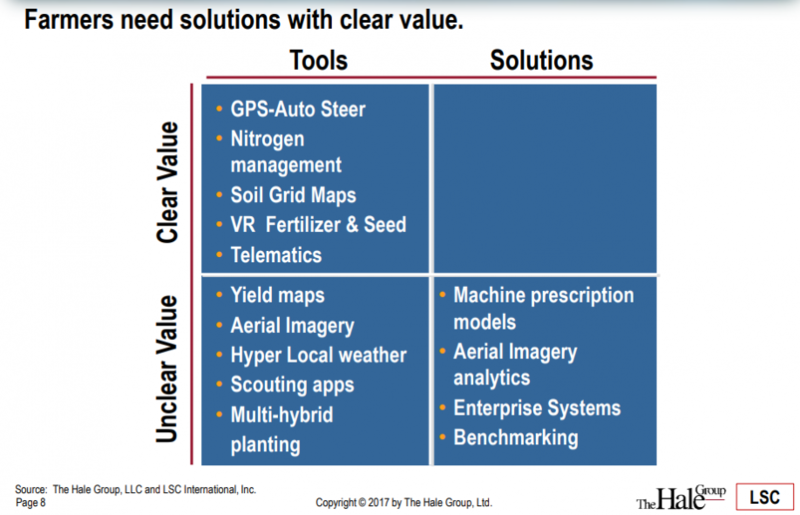 A lot of precision agriculture-type activities are being adopted quite widely. The newer-type technologies are around aerial imagery analytics and enterprise systems software for the total farm. One of the challenges in agriculture is that until recently there weren’t too many ways to really have an enterprise planning system. These now exist. So it’s more and more precision use of data to make decisions rather than the traditional intuitive or relationship-based decision making. You have spoken about the farm as the sort of enterprise that requires Enterprise Resource Planning (ERP) software. It sounds like you’re saying the role of the farmer of the near future is going to be more like the CEO of an enterprise than has traditionally been the role of the farmer in the past. The farm is an enterprise business. Some farms are significant businesses – like fifty- or hundred-million dollar businesses. (Just like ERP systems.) A lot of particular variables have to be managed on the farm. These systems are being put in place now. Some years ago, John Deere came out with a video that showed “Mission Control for the Farm.” Ultimately, something along those lines is what we’re going to see. You’ve said, “every business is becoming a software-as-a-service business.” (SaaS) How is that true for agribusiness today? And what direction is it going now and in the next five years? Basically, I think it’s a general trend that value is moving from hardware to services, and software is what underpins the services. So we’re going to see more and more value in the service side of agriculture rather than the hardware side. A farmer who has 15,000 acres planted in corn or soybeans may read this and say to himself, “That’s not software, that’s a real commodity. It’s affected by weather and pests and weeds and nutrients.” How does that farmer need to look at his business differently with this coming wave of SaaS? SaaS on the farm is going to be about capturing the data streams and then assembling that data so the farmer has a complete view of what’s happening on his farm. You have the challenge of operating a complex operation in real time because during the season things happen in real time. You also have post-season – the planning for the next cycle, next season. So essentially this entire cycle is going to be based on software and data rather than just intuition. What obstacles have to be overcome for these technologies to take hold? 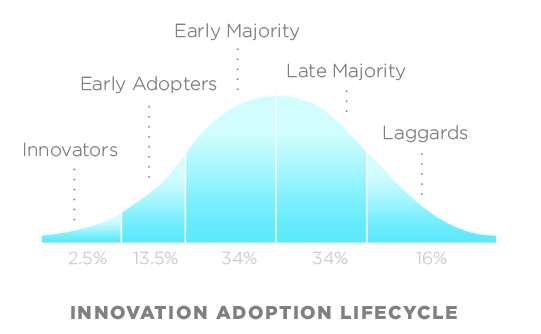 The classic adoption curve that’s now used throughout all industries applies here as well. Basically, you have the innovators, the most advanced farmers. They put a lot of attention into new technologies and a lot of effort into using those technologies. Then you have a second group – the early adopters – still advanced farmers who will see what the innovators have done and will gradually adopt that. So you have a lot of challenges: (1) technology understanding, (2) the need for training, (3) broadband connections. A lot of those issues are specifically challenging in this sector. But the leading farmers are finding ways to get around that. What you’re saying is the standard adoption curve for any new technology applies in this industry as well. And investors can refer to this model as it has been applied in the tech industry in general. Am I hearing you right? Yes, absolutely. And you know, when we are dealing with clients, we certainly use that curve all the time. There are many challenges with digital technology in agriculture. One concern is the adoption rate has not been as fast as expected. This is obviously a big concern for investors in the sector. People are trying to understand that. I think a key driver on the adoption rate is value-creation and value-capture. This is a really, really core issue in the business. The fundamental challenge is that you have many technologies, many technology providers and developers at large corporations as well as startups. Each of these players develops a specific technology. They do testing, they gather information, they come up with benefits. And then they go to the farmer. Well, the problem for the farmer is that the farmer is actually the technology integrator. And the farmer is the least qualified to do that because very few farmers have an IT department – there are some – but not very many have IT people on staff. This is a big issue, and it’s tough for the farmer to really see the value generated for a specific technology in most cases. For a new technology to gain traction, you have to be able to show you can increase yield or reduce costs. Obviously, cost is a is a crucial element – particularly in the current environment – because cost is something the farmer can control. So being able to show direct effects is highly important. Another item I’ve emphasized is time because the farmer’s number one resource is time. Particularly during the season, there are tremendous demands on time. Anything that makes life more complicated and takes up time is not a very good idea. And then the final point is quality of life. A farmer can put in a long day of work and not come home in the evening completely exhausted. Technologies like auto-steer have enabled that. Farmers who are – let’s say, “quite senior” – can still play an active role and help the operation because of technology. Auto-steer, in essence, is like spending a day at the office where the equipment is basically running itself. Think about technologies the innovators and the earliest adopters are using today. Which of those have the best opportunity to help the farmers in the fat part of that curve, right now? Yes, We’re seeing it come in various ways. Some years ago, there was a great deal of attention to drones. That has not really moved forward because of the difficulty of managing drones, dealing with the data you collect and the challenges around data collection. Satellite is pretty common now, used extensively. But it’s got a resolution problem. So we think the sweet spot is actually fixed-wing, aircraft-based imagery because you get the high resolution of drones and you get the timeliness of satellite which is what you need to drive analytical models. Would you expand on the thinking behind those questions? These are questions we developed for our clients. We feel pretty much any agribusiness needs to address these issues. All established companies face the same issues: how will they take advantage of digital technology? First, you’ve got to understand your business and figure out what products and service capabilities should you pursue. It’s mainly on the service side. Data is absolutely critical. There are many players in the ag supply chain who have lots and lots of data, but they haven’t really focused on what the value of that data is and how they can capture and analyze it . Who owns the data? Sometimes farmers feel they own the data, other times retailers feel they own the data. What are the access rights for the data? People need to work through that. One of the things that’s important to understand is the value of the data is really when it’s aggregated. Of course, it can be aggregated on an anonymous basis. The value of data at the individual farm level is valuable for the farmer, but not in and of itself great value for other people. So you need to utilize the data at the farm level for the benefit of the individual farmer, but also it’s going to be valuable to aggregate the data and find the patterns that come out of that. With the aerial imaging a company’s doing with the farmer as their customer – that data they’re collecting – as they’re collecting it across a wide swath of fields in the same general area, there’s tremendous value in that aggregated data. That’s essentially where the value is. And one other thing, by the way, the two data sets that really are big data are weather – like hyper-local weather, huge data sets – and the other one is aerial imagery. Because when you collect high-resolution imagery on hundreds of thousands of millions of acres those become extremely large datasets very quickly. Who are the best collaborators for startups to work within the ag space? What are the qualities and characteristics of better collaborators versus worse collaborators? Well, this is really sort of focused on one particular thing. I’m thinking particularly of retailers who are both a seller of inputs and a purchaser of commodities, of the grains and all seeds. They need to collaborate with startup companies. It’s frequently quite difficult for the retailers – for the distribution system – to really do that. You have the sort of s-curve problem in that somebody’s got a start-up and they’re doing something, but it’s not quite as good as what’s being done right now in the field, what can be improved very rapidly. That’s hard to deal with. Then on the other side, startups desperately need access to the market. And so they do need the distribution. This focus here is really around the collaboration between startups and established distributors. You serve on the Board of Advisors for one of those startups—IntelinAir. What was it about IntelinAir that piqued your interest? I’m part of an angel group in Chicago, the Harvard Business School Angels of Chicago. We were one of the early investors in IntelinAir, so it was in that context that I got involved with IntelinAir. What impressed me about IntelinAir was a couple of things. First, the technology is strong and the background of the founders also strong and experienced in technology. But they obviously didn’t have exposure to the ag sector, to the ag market. So that was an interest of mine, to help them go up the learning curve as fast as possible. And they were decidedly willing to work with me on that. The other thing that impressed me about the approach IntelinAir took is to work directly with farmers, to understand the challenge farmers face and then bring the technology to solve the farmer’s problem, to provide a solution. This was not the typical case – which is a technology push – and you’re trying to get the technology accepted one way or the other. This was much more working directly with actual farmers and really learning about their needs and iterating quickly on the product to address those needs. You published a 4-square matrix assessment of key digital agriculture players. I noticed you put IntelinAir in the “Visionaries” quadrant along with Conservis, Farmers Edge, FBN, and FarmLogs. Why do you see IntelinAir that way and what are the challenges of executing on their vision? One of the things about IntelinAir – and about this particular space – is I think it addresses another issue which we haven’t touched on: data. A great deal of the data in the ag sector is low quality. This is true across all sectors, but certainly is true in the ag sector, and there are many reasons for that. What’s interesting about IntelinAir’s approach is the data collection process is controlled by the company, and it doesn’t involve the farmer. It can be done remotely, so to speak. This is a crucial element because you’re controlling the collection process, you’re processing the data. You’re building a data set which from inception is of high quality. Ultimately, that will be exceedingly important. My “Visionaries” quadrant is people who are developing technologies that really are new, bringing new things to the table. These are companies in a startup mode, and the ability to execute is a crucial factor. Some have quite a large amount of resources, others have less. But it’s not like a multibillion-dollar group. These are essentially startups that are having an impact and have resources. And I think that they are positioned to really advance in this space. There is one other sort of broad issue. It’s a debate about what’s needed in the marketplace: tools or solutions? Clearly, what the farmer wants – what the customer needs – is solutions. A lot of this technology actually is sort of like tools. Because of the capacity to adopt, coming with a toolmight or might not work, or it might work only for certain people who have a particular skill set. But obviously what’s really needed is solutions—particularly a solution that’s easy to implement. I think the situation with something like aerial imagery analytics is an example of a solution that is easy to implement. You push the results to the farmer and the farmer only needs to be concerned about what the outcome is and then what kind of action he should be taking. Connecting the dots here, we’ve got a situation where a generation that did not grow up with technology is aging out of the market, a much smaller segment of the entire market that is tech-comfortable, tech-savvy even, and the confluence of those two demographic changes occurring along with the advent of big data, analytics, all coming together to form what looks to me like a tremendous opportunity for these startups that are in the right place at the right time with a solution rather than a tool. Am I summarizing that well? Yes. And obviously, it’s not being done in isolation because major players -John Deere, DuPont-Pioneer, Monsanto-Bayer-Climate – all of these players are investing large amounts – literally billions – into this area. 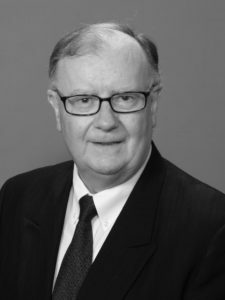 John Power is president of LSC International Incorporated, a Chicago-based firm specializing in the provision of corporate and financial advice to participants in the global agri-food chain. He founded the company in 1997. He’s been a keynote speaker on digital agriculture at industry conferences in the US, Canada, and China. He holds a Bachelor of Commerce and a master’s of science and economics from University College Dublin and an MBA from Harvard Business School. He’s a professional member of the International Food Agribusiness Management Association, the American Society of Agricultural Engineers and the American Seed Trade Association.